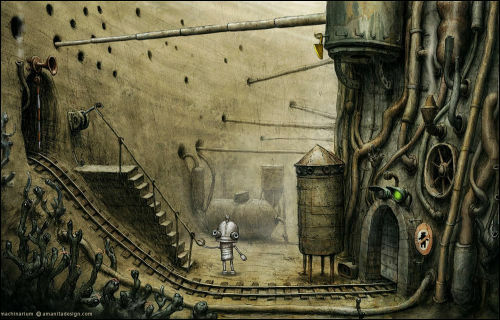 Amanita Design (Samorost series) is currently working on a full-scale adventure game entitled Machinarium. The new project features hand-drawn art and backgrounds, but retains the point-and-click interface that fans of the series have grown accustomed to. 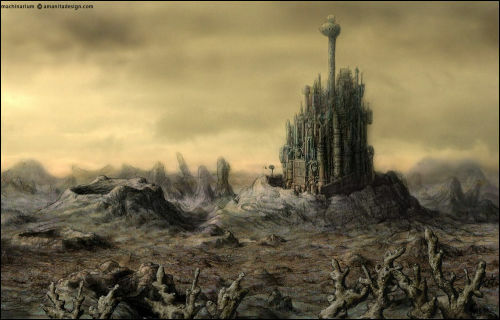 Adventure Gamers had also revealed that the world is populated by robots, and players can expect to interact with a small inventory during the course of the game. Machinarium will be released sometime in the second half of 2008.